Effective writing skills are a crucial component for success in all academic areas. Students need to be able to write clearly to excel in all subjects—from history and science to the arts and beyond. Independent writing blocks provide designated time for students, not only to hone their handwriting skills, but also to learn how to write structured narrative, opinion, and information composition pieces. With elementary school students spending nearly 60 percent of their instructional time writing on paper, it’s no wonder that standards are in place to make sure that they are successful writers. When students understand how to organize their thoughts and opinions clearly and articulately, they are able to produce written work fluently without having to struggle with syntax or organization. As students learn to compose narrative, opinion, and information sentences and paragraphs, they are developing automatic written communication skills. Teaching children to write goes beyond teaching them to put a pencil to paper: independent writing time strengthens overall written and verbal communication skills, analytical skills, and thought organizational skills. When children are prepared with these language tools, they are positioned to be confident communicators! Writing practice ensures that students are given a voice to express themselves. These skills bubble over into the verbal arena as well and can help students become confident and articulate public speakers. Verbally, whether they’re expressing an opinion that is important to them, narrating a story about their day, or explaining to their sibling how to build a castle out of blocks, being able to write clearly is a stepping stone for children to become effective verbal communicators, interesting conversationalists, and persuasive public speakers. 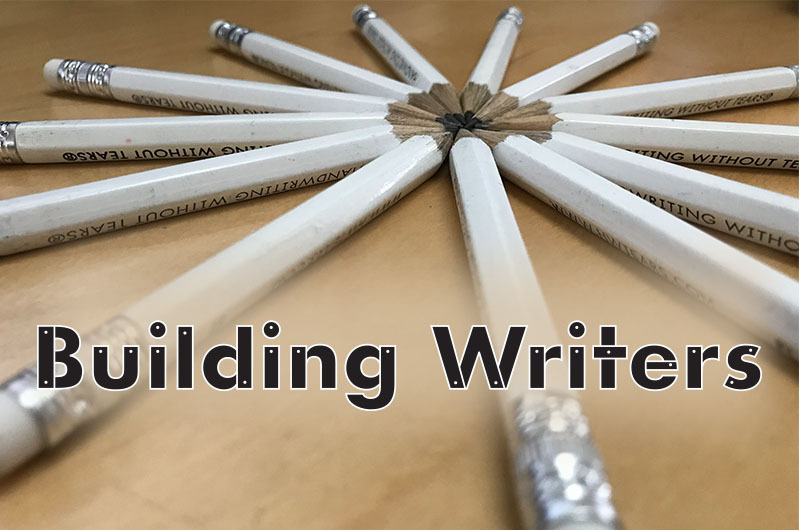 Building Writer workbooks are scaffolded and offer extra practice for writing skill development and can be easily incorporated into a writing block as independent writing or as whole group practice to meet your students’ varying needs. Students become better, more fluent writers as they write about cross-curricular topics and practice three types of writing styles: narrative, information, and opinion. Each of the Building Writers workbooks progresses developmentally. In Building Writers (A), kindergarten students learn the basics to prepare them for simple narrative, opinion, and information writing exercises. By Building Writers (F), fifth grade students have worked their way up to constructing narrative pieces with characters and dialogue; opinion pieces with an introduction, supporting reasons, and a conclusion; and information pieces with facts, details, and topic-specific vocabulary.